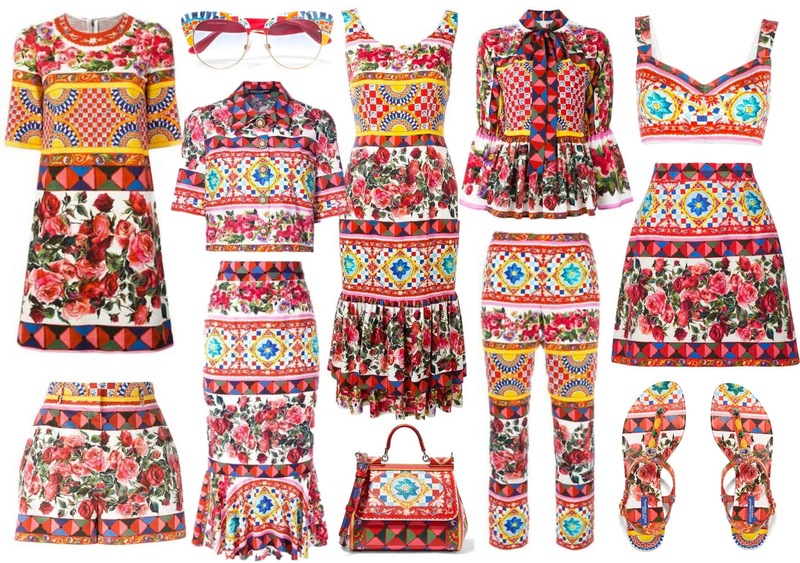 I've recently been obsessing over Dolce & Gabbana's beautiful fashion collections. After lusting after everything they had on their website I decided to pick my favorite collections, new and old, and make little fashion "story" of sorts of the pieces that I love. 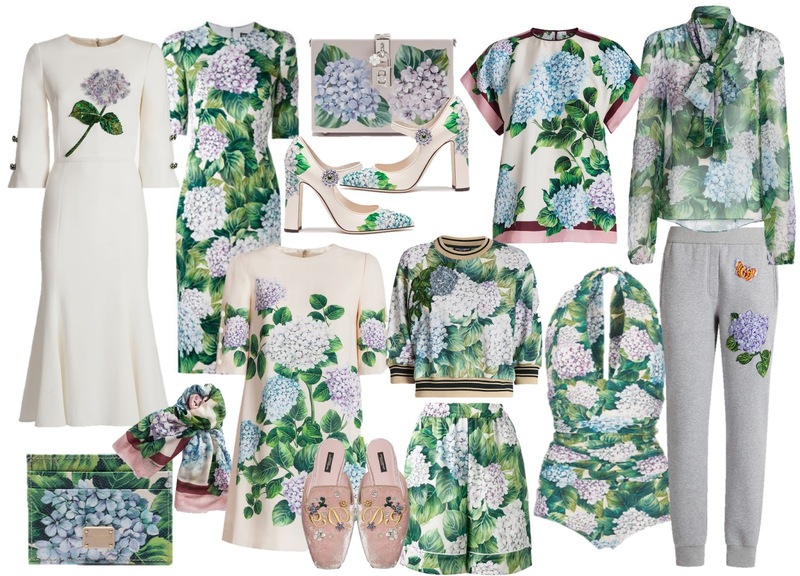 I love the hydrangea flower detail on these pre-fall 2017 D&G pieces. 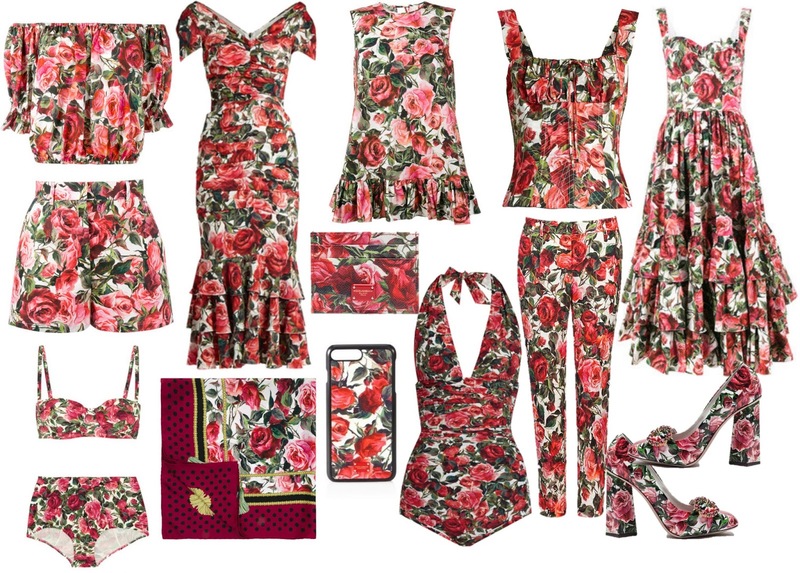 D&G describes the print as evoking an English garden feel in Sicily. I adore the card holder and the printed sweatshirt with the varsity stripe detail. Dolce & Gabbana's spring|summer 2017 Tropico Italiano featured the tropical city collection. This has to be my favorite collection of all the ones featured in this post. 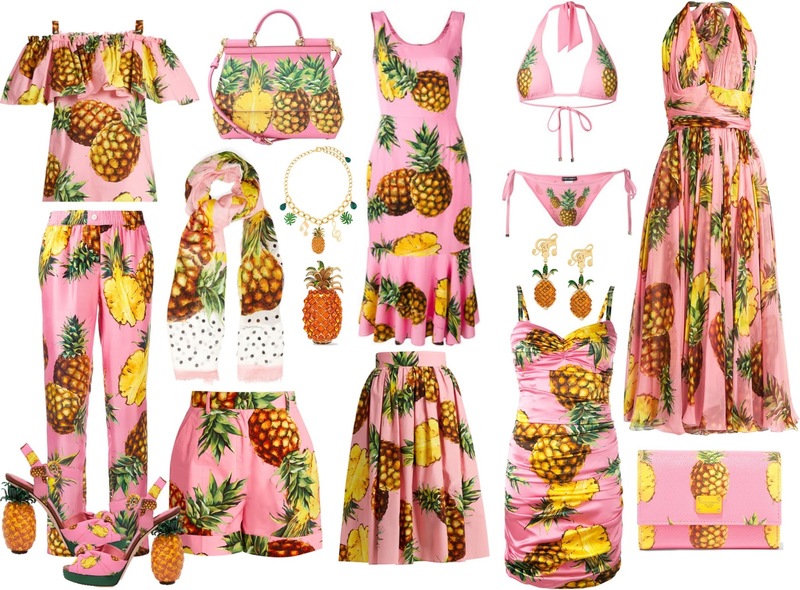 I currently have an obsession with anything pineapple themed, so these D&G pieces are right up my alley. The pineapple platforms are so cute and unique and I'm loving D&G pineapple bag with the matching wallet. I love this colorful Mambo print from the Tropico Italiano spring|summer 2017. I love the sunnies, the printed dresses and the beautiful tops. All the pieces in the print are super gorgeous. I'm loving this beautiful pretty pink rose print from the spring|summer 2017 Tropico Italiano collection. The roses are perfect for spring and summer, I'm loving the rose print sheer blouse and the cute cat eye sunnies. 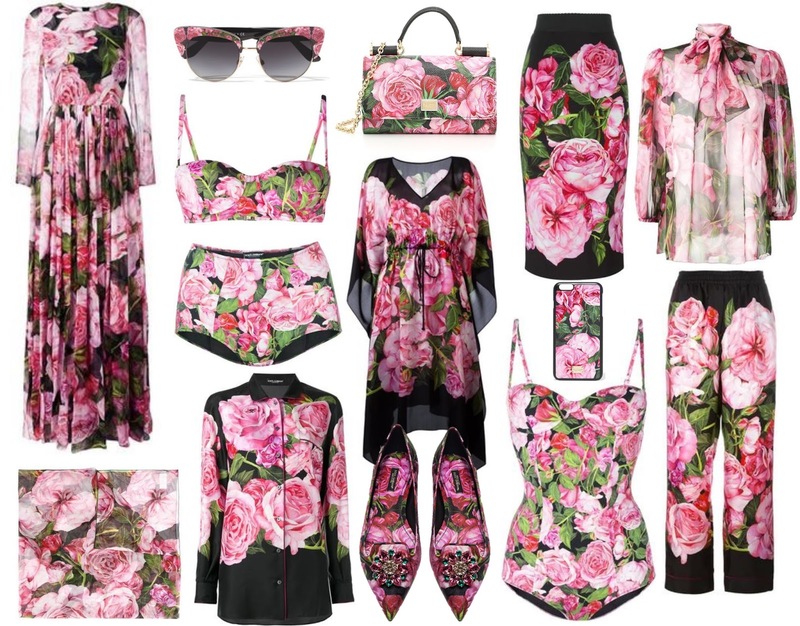 I'm also loving this version of the rose print, from the Dolce & Gabbana's Resort 2017 collection. The halter neck one piece swimsuit and the gorgeous bustier top are my favorites. 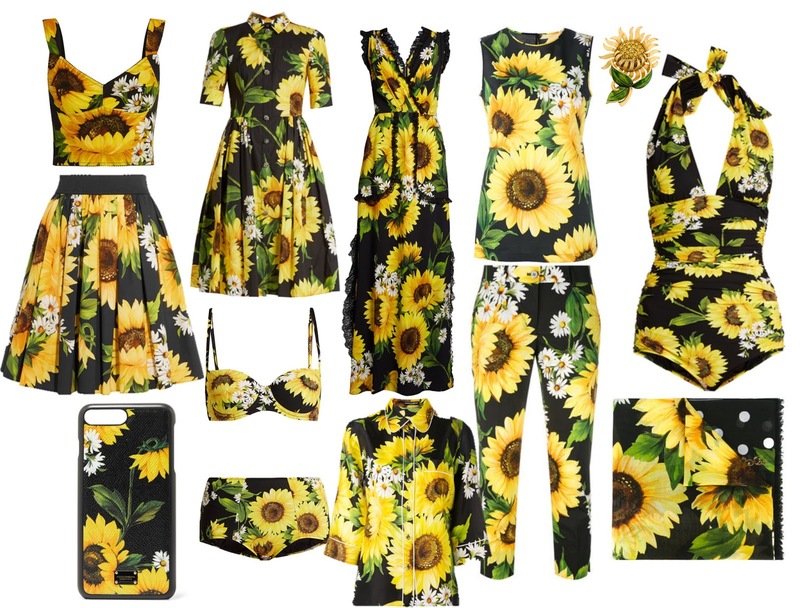 The sunflowers and daises make a pretty mix in this print from the spring 2017 collection. I love the vibrant yellow printed swimsuits, they look perfect for a lazy day at the beach. 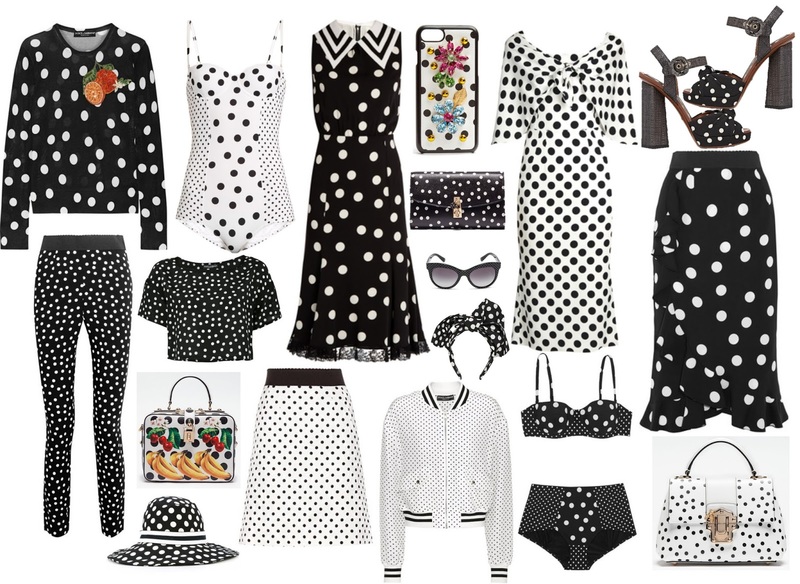 Loving this cute polka dot print from the Resort 2017 collection. The polka dot bikini and the polka dot bag with the fruit and flower detail are my favorites. 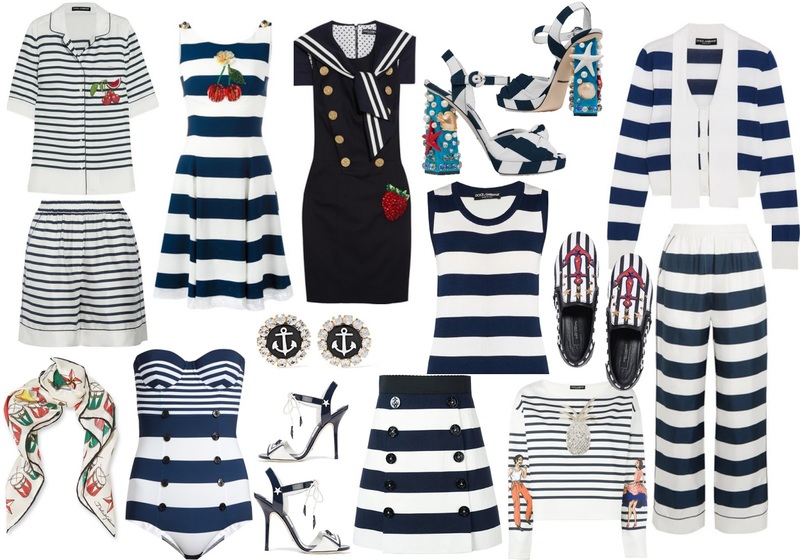 The Marina theme from Dolce & Gabbana's spring 2017 collection makes me wanna board a boat and sail away to Italy. I'm loving the dress with the mix of classic stripes with the fruit details. Plus the sandals with the seashell, pearl and sea star are amazing statement pieces. Leaves and pineapples make a beautiful mix in from the Resort 2017 collection. 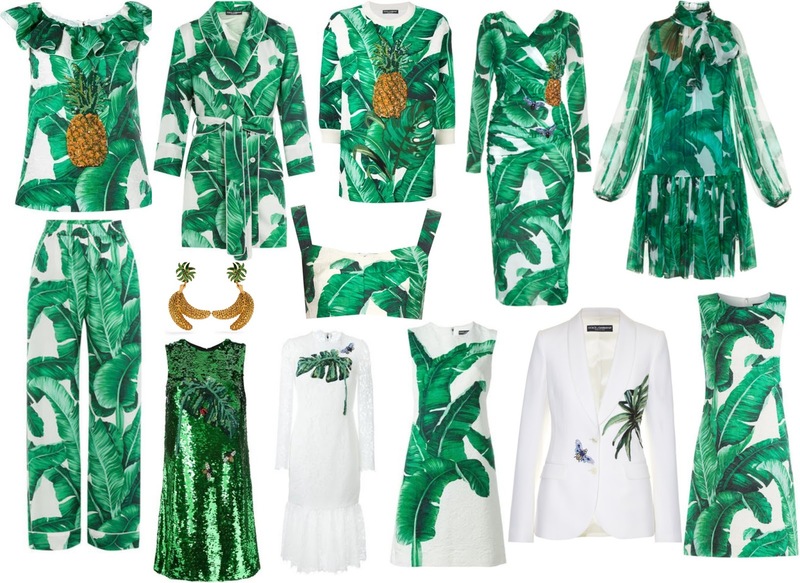 I'm obsessed with the green sequin dress and the pineapple top and dress that make my heart sing.